Please avoid swimming in deep water as there are threats related to sharks. What is occurring in the Red Sea is probably the most terrifying event associated with shark attacks since the movie “Jaws” chased everyone out of the water. Only this it isn’t a horror movie being played out along the Egyptian coast. 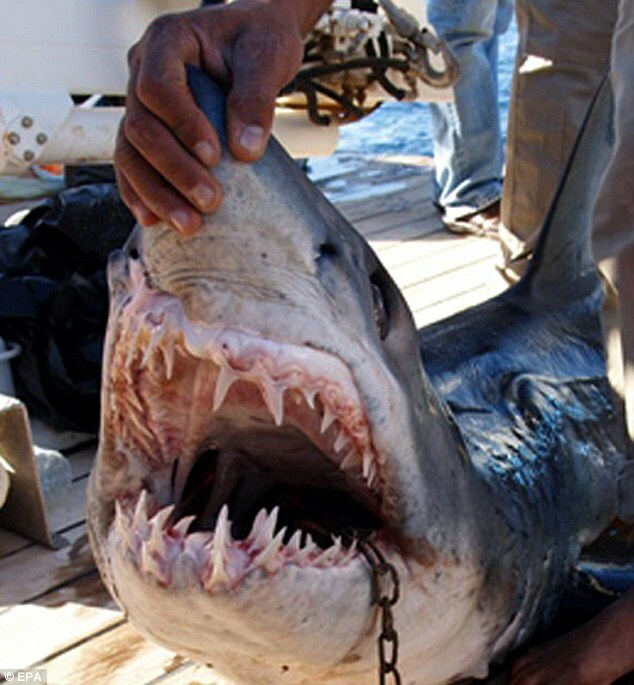 This is a real-life drama with real shark attacks and real blood and real death. Over the weekend, the DailyMail.co.uk took a closer look at the shark attacks and spoke with one of the victims in what is an intriguing if somewhat gruesome story. The Daily Mail reports that in the space of 10 days, sharks have mauled four tourists -- one of them 48-year-old Olga Martsinko -- and killed a fifth, who was attacked just hours after the Egyptian authorities said the water was safe. “At first I thought it was a dolphin, but then I felt a sharp pain as it came up, sank its teeth into my arm and began to wag me around,” Martsinko told the Daily Mail from a hospital bed in Cairo. “It tried to pull me down with it into the sea, and I saw the huge jaws of a shark and a sharp fin beside me. The shark let me go for a second and I swam away. But it came back for more, biting me again and again from behind. after this shark was killed. The white tip shark chasing her through the water had taken a chunk of the top of her left thigh and buttock. Her hand and arm were missing, and her blood had turned the sea red. 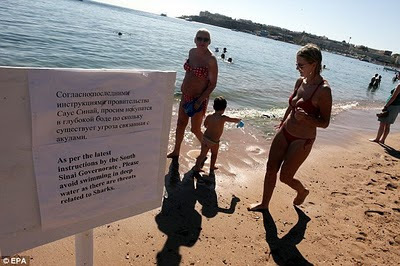 Dr. George Burgess, a leading American shark expert called in by the Egyptian government to assess the danger to tourists, looked out over Garden Bay and predicted that it would not be the last shark attack in the Red Sea coast resort. 2) Local dive-boat operators are suspected of secretly throwing dead chickens overboard to attract sharks for their clientele. The fact all five attacks occurred in the early afternoon when sharks have grown used to being fed by boats at that time, according to the paper, suggests that the latter is true. Whatever the case, it's definitely not safe to go into the Red Sea these days. Read the entire Daily Mail story here. But we must warn you: One photo in particular is grueling in nature -- the wound to the buttocks of Martsinko. Thanks to UnderwaterTimes.com for the tip.